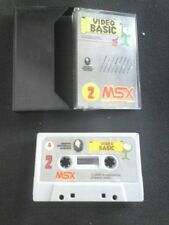 Home » Forum » MSX Talk » Software » How rare are the Xak games? 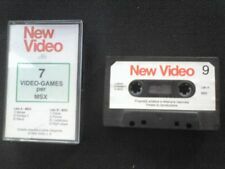 How rare are the Xak games? So I have complete copies of Xak II: Rising of the Redmoon and Xak: The Tower of Gazzel for the MSX 2. I bought these from a seller off ebay, and can find no other listing for them. I even looked for these games on yahoo auctions Japan, and found only one copy of Xak II but it was the PC-98 version, not the MSX 2 version. 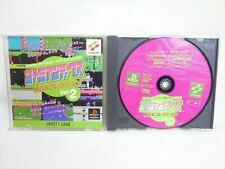 Are these games hard to find or is it only because I don't live in Japan? Well, I think eventually all games will be harder to find, but there are titles that where never easy to get. Imho XAK has always been an easy title to get. XAK 2 is harder and XAK 3 in have never seen much. When you look on ebay now there are 3 copies of XAK on it. 1 in spain and 2 in japan for a very reasonable price (below 50 euros). 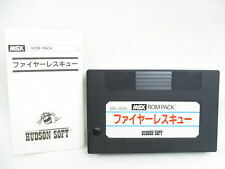 Nowadays all the software on disk or tape in good condition can be considered rare, especially outside Japan. Some are less rare than others, that's all. I've never seen Xak games go for crazy amounts of money, so I don't think there's much demand for them. Weird actually. Those games are much better than a lot of Konamis. ...if only because they can stand the test of time, unlike disks which eventually wear out. Yet all my late 80s Japanese disk game releases are in perfect order, I was able to back them up last year without issues. On the original topic, Xak 1 & 2 are fairly easy and cheap to get by, but Tower of Gazzel seems to be a bit harder to find and more expensive. Hence it’s still lacking from my collection, but I hope I’ll find a decently priced copy someday. Also Fray in Magical Adventure must be count in the saga. @Manuel I remember we did copied the disks on a Atari ST. I guess there better methods today? How about the BOOM BOOM DSK-PRO thing? Looking back at my backup files, I actually only backed up Kyokugen, Moon Light Saga, Pentaro Odyssey, Sorcerian English and Xak 1 English . Just used GETDISK. But regardless, none of the disk based games have given me read errors when I used them so far (I admit it’s not full coverage ). Only on some disks with personal files I had some issues, but then again I also had them plenty back in the 90s, and those disks have been well worn out due to frequent use. Either way what I really wanted to say is that disk have a bad rep, but in my experience so far they’re holding out pretty well.